A Palestinian refugee receives a budget four times larger than a Syrian, Iraqi or African refugee, this according to a study conducted by the Abba Eban Institute of International Diplomacy at the Interdisciplinary Center (IDC) in Herzliya. 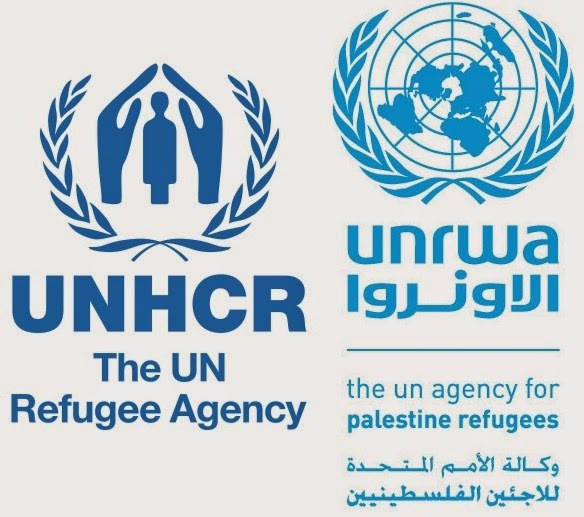 At the end of last week, UNRWA released its annual financial report, which stated that in 2016 the organization spent an average of $246 for each of the 5.3 million Palestinians it defines as refugees, while UNHCR spent only a quarter of that, $58 per refugee. In addition, the data show that UNRWA employs some 30,000 people, while the World Refugee Agency, which handles tens of millions worldwide, employs only 10,000 people. Former Israeli Ambassador to the United Nations Ron Prosor heads the Abba Eban Institute, which formulated a plan of action for structural changes that will improve the treatment of refugees around the world by merging UNRWA into the UNHCR. "Consolidating the budgets and manpower of both agencies will lead to better treatment of refugees," Prosor said. "In Jordan, for example, there are 44 clinics that treat refugees from the civil wars in Syria and Iraq, out of 233 clinics that are required for this mission. Alongside them are 25 UNRWA clinics that ignore Syrian refugees and care only for Palestinian refugees. "Uniting the resources of the two agencies will enable more quality and efficient assistance, and contribute to a solution for what that the UN itself has defined as the most serious refugee crisis in history."